Use for marking darts, pleats, buttonholes, etc. Can remove chalk marks with brush or damp cloth. 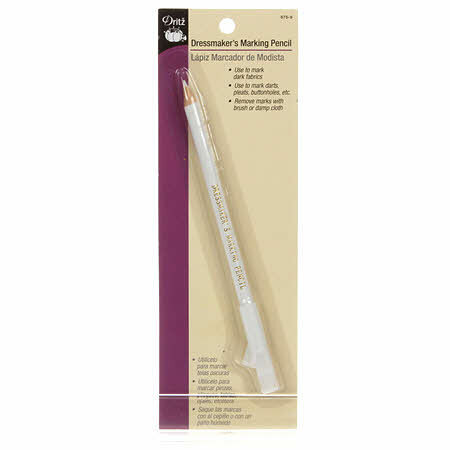 The marking pencil is ideal for pattern alterations. It is very useful when transferring pattern markings to fabrics and can be used effectively when tracing quilt templates and patterns. Remember to test mark on a swatch of fabric to be sure marks are easily removed.